Brevity has always been the soul of wit—and that’s truer than ever in the age of the Tweet. Clark, author of The glamour of grammar, offers practical advice for composing effective headlines, titles, sales pitches, and more. ROY PETER CLARK teaches us HOW TO WRITE SHORT! Roy Peter Clark How to Write Short TUESDAY, OCTOBER 10 AT 7 PM Roy Peter Clark will discuss and sign How to Write Short, his engaging and practical guide to effective short form writing, on Tuesday, October 10 at 7 pm. Roy Peter Clark, the most influential writing teacher in the U.S., turns his attention to the art of painting a thousand pictures with just a few words. Short forms of writing have always existed--from ship logs and telegrams to prayers and haikus. But in this ever-changing internet age, short form writing has become an essential skill. Clark covers how to write effective and powerful titles, headlines, essays, sales pitches, Tweets, letters, and much more. With examples from the long tradition of short form writing in Western culture, How to Write Short guides writers to crafting brilliant prose, even in 140 characters. Praise for The glamour of grammar: "A grammar manual for the 21st century--a little more earthy, a little more relaxed. A welcome addition to the bookshelf of anyone who cares about language." Ammon Shea, New York Times Book Review "A fine common-sense guide to the proper use of language." Boston Globe "A streamlined, accessible, witty book...Clark is a coach rather than a scold, encouraging readers to 'live inside the language.'" Colette Bancroft, St. Petersburg Times Roy Peter Clark is senior scholar at the Poynter Institute, one of the most prestigious schools for journalists in the world. He has taught writing at every level -- to schoolchildren and Pulitzer Prize-winning authors -- for more than thirty years. A writer who teaches and a teacher who writes, he has authored or edited seventeen books on writing and journalism, including Writing Tools, The glamour of grammar, and Help! for writers. He lives in St. Petersburg, Florida. Clark was born in 1948 on the Lower East Side of New York City and raised on Long Island, where he attended Catholic schools. He graduated from Providence College in Rhode Island with a degree in English and earned a Ph.D. from the State University of New York at Stony Brook. In 1977 Clark was hired by the St. Petersburg Times to become one of America's first writing coaches. He worked with the American Society of Newspaper Editors to improve newspaper writing nationwide. Because of his work with ASNE, Clark was elected as a distinguished service member, a rare honor for a journalist who has never edited a newspaper. 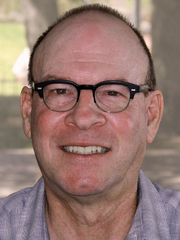 Clark is the author or editor of 14 books on journalism and writing. Roy Peter Clark's book The Glamour of Grammar was available from LibraryThing Early Reviewers. Roy Peter Clark is currently considered a "single author." If one or more works are by a distinct, homonymous authors, go ahead and split the author. Roy Peter Clark is composed of 3 names. You can examine and separate out names.